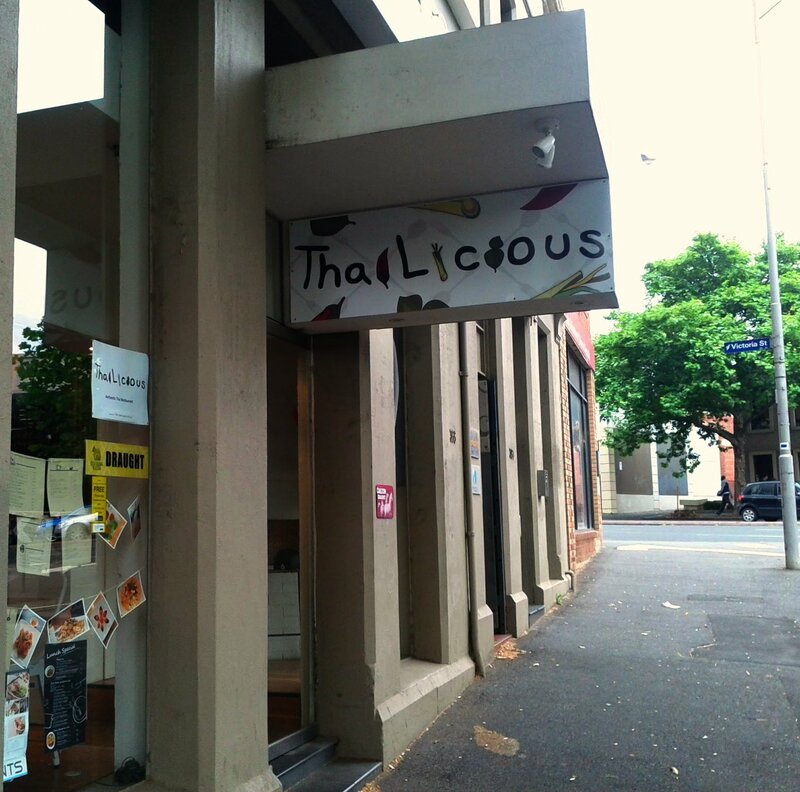 I spotted Thailicious while riding home one night, it has opened in the last 6 months or so and it is situated on Exhibition Street near the edge of the CBD between Victoria and La Trobe Streets. The reviews on urbanspoon were mixed, but being nearby it seemed like being worth a try! Inside the decor was modern and still felt new and fresh. 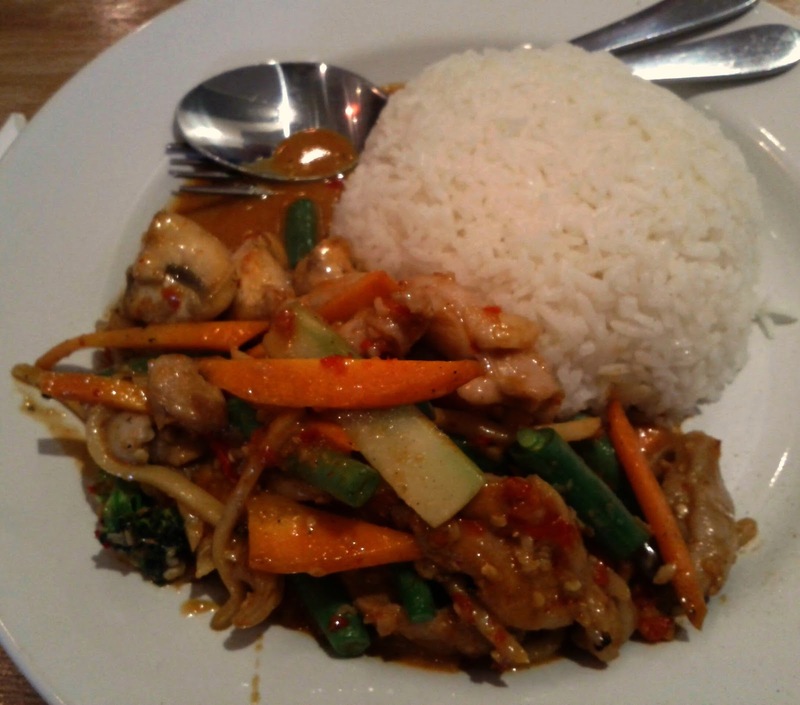 Brendan and I both took advantage of the lunch special on offer, I had the Pad Prik Gang which feature stir fried chicken and vegetables in a home made sauce. Having chosen the spicy option when asked, there could be no complaints when the dish lived up to the billings, whilst I still enjoyed it, perhaps medium is the optimal heat for me! The portion was a decent size and all the ingeadient fresh and well prepared. 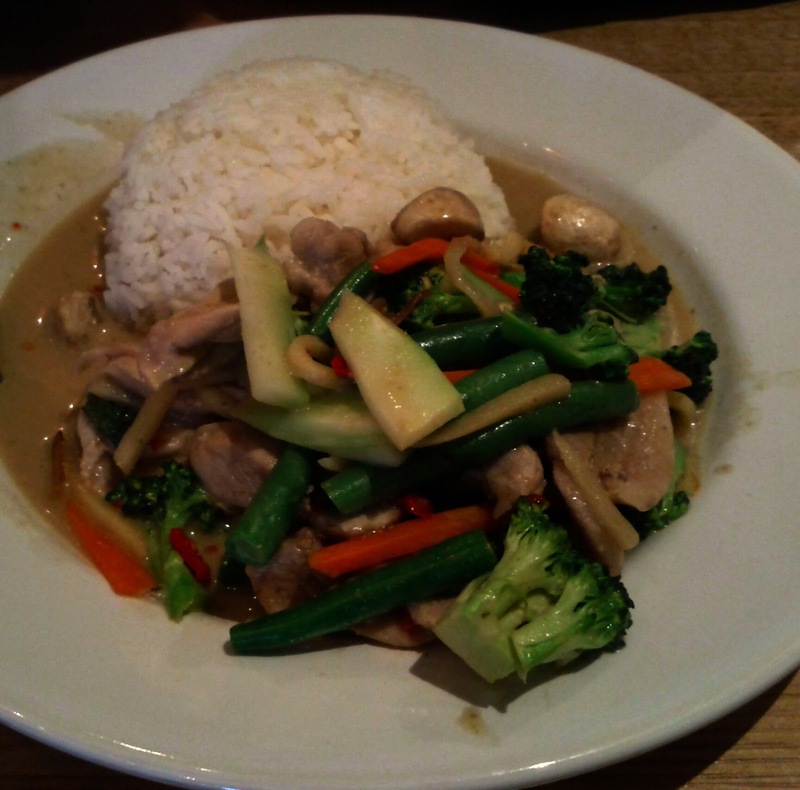 Brendan had a mild chicken green curry which was the heat level of heat for him, and really enjoyed the dish. The service was efficient and friendly and the lunch specials starting from $10 were good value. It certainly compares well with other Thai options in the area.